Denpasar (9/1), Multimatics believes that all blessings must be returned by giving back to the community, because being supported by the community was a part of company’s success. As 2017 has passed and despite all the challenges Multimatics may still grow steadily, Multimatics was blessed with the opportunity to visit state school of disabled students, SLB Negeri 2 in Denpasar. All of our staffs have contributed in donations and very excited to join in the activities with the students. All member of SLB Negeri 2 Denpasar gave us a warm welcome. 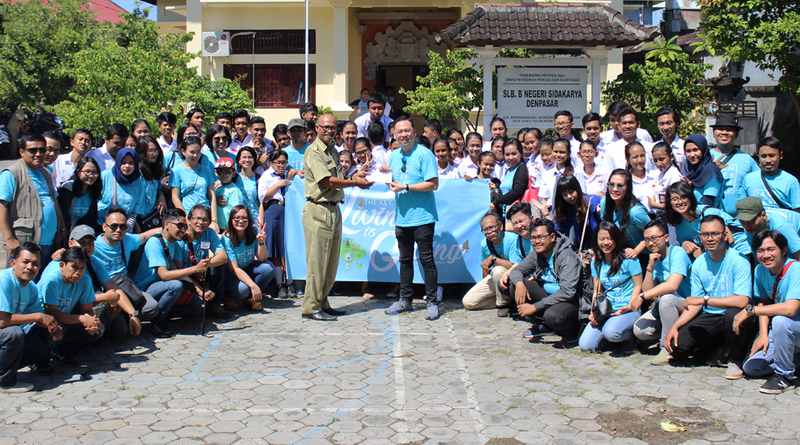 This CSR event was opened by the speech of Mr. Agus Setiawan, as the Executive Director of Multimatics and Mr. Muliartha, as the Headmaster of SLB Negeri 2 Denpasar. The event continued with the Dance Performance by the students, followed by Modelling Performance. The students asked all Multimatics’ staffs to join them in the dance and modelling action. Despite their disabilities, the students were high-spirited, cheerful, and very motivated to dive in their passions. Through #LivingbyGiving, Multimatics is reminded by all the students at SLB Negeri 2 Denpasar. They gave us a valuable lesson: when you have GRIT, nothing can stop you from achieving your dreams.